In my lifetime, I’ve had ample opportunities to cook just for myself or one other person. As a single woman in my 20s, a meal was often pre-packaged and microwaved, or from a take-out container. As a divorced food writer in my 40s, I learned to adjust my favorite family-sized meals to satisfy my needs. As The Picky Eater’s wife, I followed those same adjustments, allowing for meals sized for two instead of one. Now, as a widow, I’m once again cooking for myself. As I wrote in this blog post soon after The Picky Eater passed away, I was amazed how preparing a simple meal of Minestrone Soup brought me such comfort. I was taking care of myself by doing something I loved. As the months passed, I learned to enjoy cooking a meal just for me as a way to wind-down from a hectic day. In my experience, the freezer is my best friend for one-or two-person cooking. 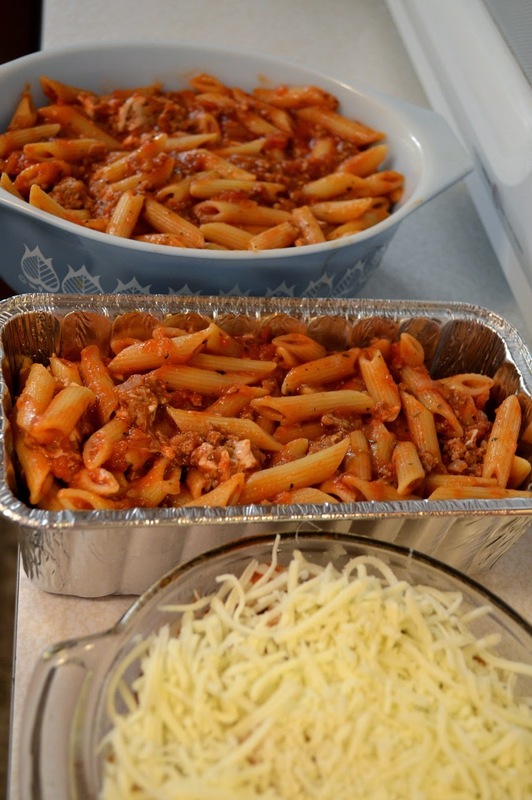 It allows me to prepare favorite dishes, such as this Baked Ziti, and divide it into smaller containers to bake for future meals. If I have leftovers, I’ll divide them into individual portions to freeze. For example, a turkey dinner’s leftovers can become a quick microwave TV dinner when divided and frozen in individual containers. Leftover pies and cakes can be cut into single servings, lined up on a baking sheet, and frozen until solid. Then pop the frozen pieces into a freezer-safe container or bag, and dessert is ready anytime! Another key is investing in single or double serving containers. For example, I learned from The Complete Cooking for Two Cookbook by the Editors at America’s Test Kitchen how useful a loaf pan can be when downsizing recipes such as these lasagna and brownies recipes. However, downsizing a baked-goods recipe, such as cake, brownies, etc, can be tricky, since baking is an exact science when mixing ingredient amounts, which is why a cookbook like this one is good to have around. 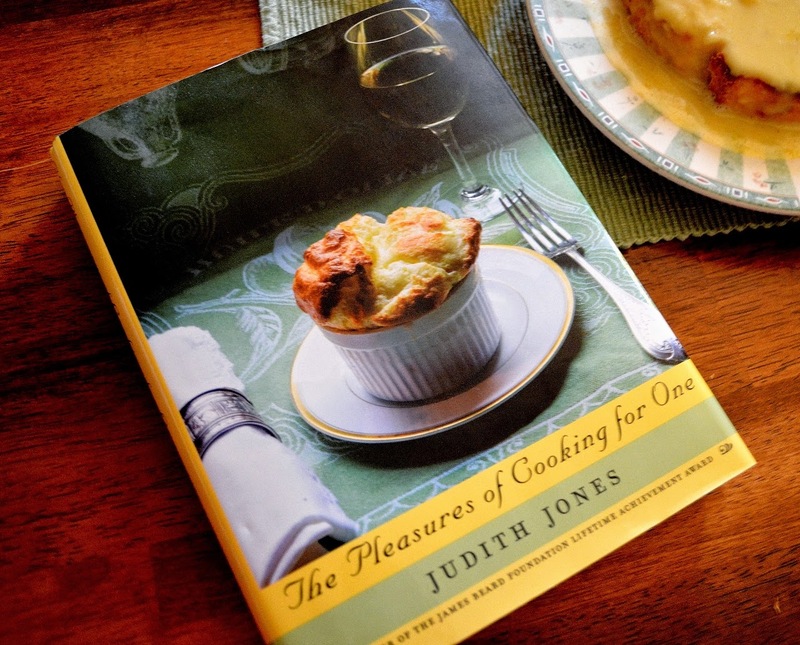 Perhaps the best thing about cooking for one is, as Jones said, you have no one to please but yourself. Dinner can range from a full meal to just cheese, bread and fruit—whatever fits your appetite at the time. One of my favorite simple meals is Jones’s Welsh Rabbit. The name can be confusing since rabbit is not an ingredient. 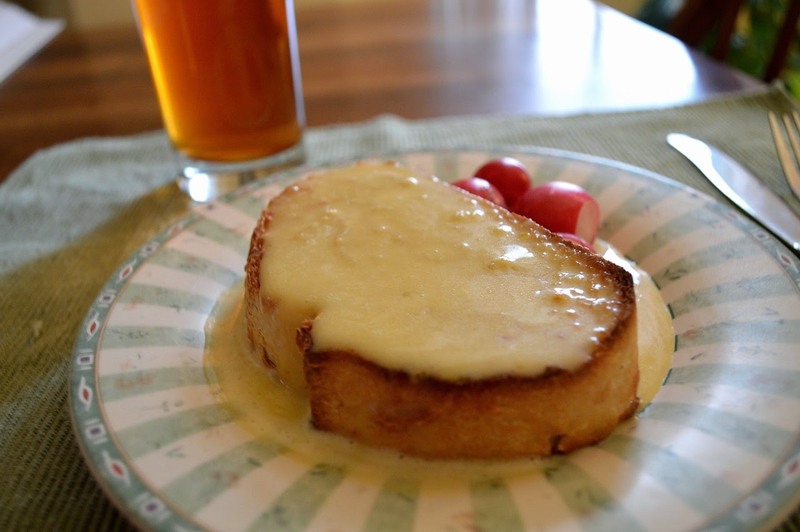 Instead, this is a simple meal of a rich cheese sauce poured over toasted bread. You can use either beer or wine in the dish, as well as your favorite melting cheese. In this case, I used an ale with some gruyere. Melt the butter in a small heavy-bottomed sauce pan over medium-low heat. Whisk in the beer, egg yolk, mustard, Worcestershire sauce and salt. Stir until the sauce becomes slightly thick. Stir the cheese a small handful at a time, making sure each addition is melted before adding more. Pour over the toasted bread and serve. I loved that book by Jones. She certainly got around in her day, didn't she? Worked with so many talented food folk over the years! She's no slouch in the kitchen either! 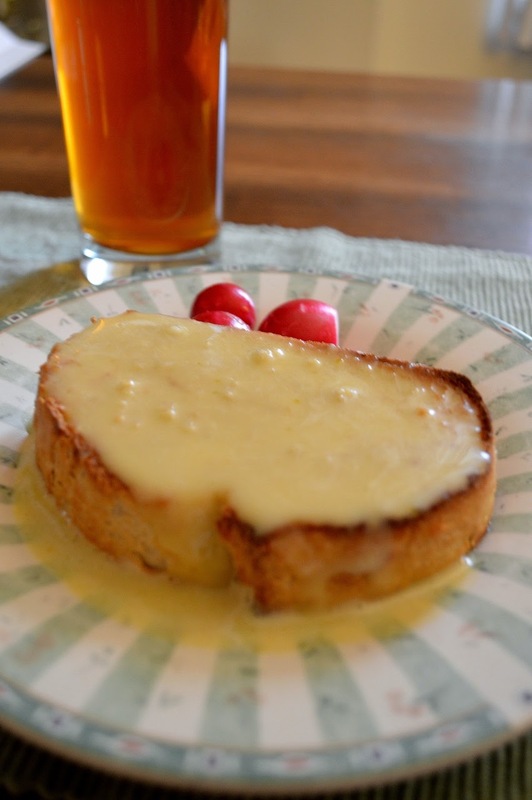 The rarebit looks wonderful! A simpler riff on a full-on fondue!